From Children’s Mental Health Network: “In 2011, the United Nations Special Rapporteur on Torture deemed the use of solitary confinement against youth and individuals with mental health disabilities as torture. I was waived to the adult system at the age of 16, and for three years while I was incarcerated in New Jersey prison, I saw and experienced firsthand the impact of solitary on youth and young adults in adult jails and prisons. I watched fellow inmates crumble under the conditions of solitary. Some committed suicide. Others experienced severe depression and anger. No one walks out of that experience feeling whole or somehow better than they were going in. 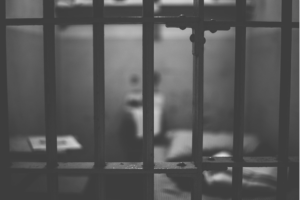 Denying individuals any and all access to resources meant to preserve their mental and physical health during incarceration is not rehabilitative, and holding youth, many of whom are suffering from mental illness like myself, in solitary for months and years at a time, is beyond punitive; it is torture. Making a mistake does not justify stripping young people of their humanity. As humans, we need social interaction; we need care; we need touch; we need love. As young people, we need mentors who understand the communities we are coming from, as well as teachers and staff who aim to lift us up in a system that has locked us down.